We are just about to host the world cup and are expecting many foreign visitors to our shores. Just a few years ago there were people living in parts of the world who thought South Africa was a backward country where lions and wild animals roamed the streets. These days the only lions roaming anywhere near the cities are dandelions. Fans arriving in Cape Town for the world cup who still think we are a backward country are in for a big surprise. Yes we still have many poor people living in shanty towns, and you will see these places as you travel from our airport into the city. 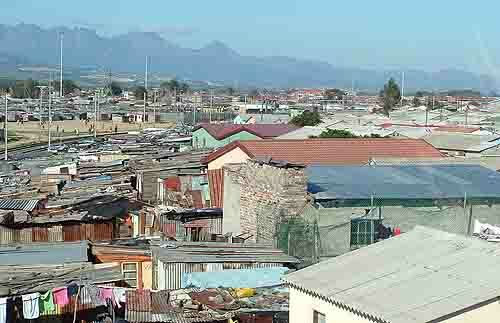 The reason for the shanty towns is that Cape Town has become a ray of hope for many African people. They come into our beautiful city looking for work and as they have no money and no jobs find their way into the townships and a life of squalor. It's a sad situation which is very difficult to solve. However we have many more positives which I would like to tell you about. On the way into the city of Cape Town from the airport on hospital bend you will pass Groote Schuur Hospital. So what is so important about this old teaching hospital that has been there for years. Groote Schuur Hospital is the first hospital in the world where a heart transplant was performed. 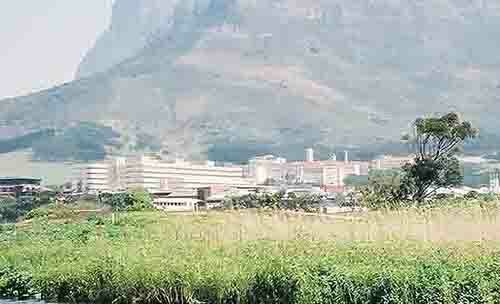 It not only put Groote Schuur on the map but it boosted the career of Professor Chris Barnard from a heart surgeon into a well known celebrity.The technologies and skills that he acquired from his pioneering work have been exported and have saved the lives of countless thousands of people all over the world. While visiting Cape Town take some time to visit the world renowned hospital and the Heart Transplant museum that has been established to celebrate what South African medicine has given to the world. As you pass the hospital and make your way down into Cape Town along the eastern boulevard you will look down onto the most stunning view of Table Bay and the city. In the distance you will see the harbour which juts out into the bay. (see picture at top of post) This harbour is built more or less in the centre of the original bay which van Riebeeck entered when he arrived to colonise the Cape in 1652. 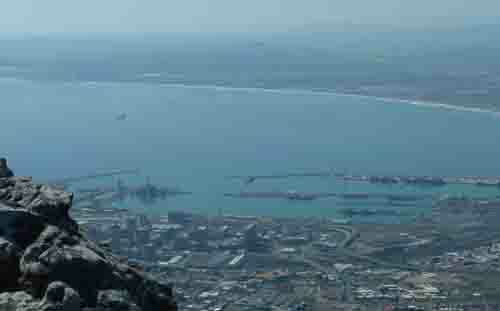 The walls of this harbour and along the Woodstock coastline are protected by another South African first, the Dollose. 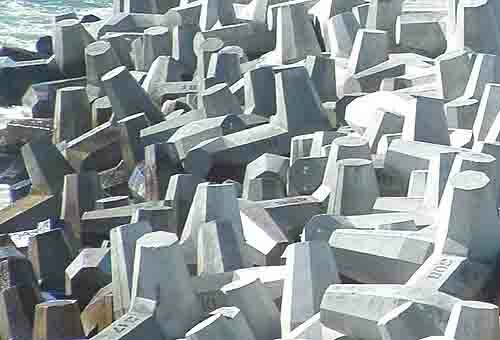 Dolosse are large, unusually shaped concrete blocks weighing up to 20 tons. The structures are designed to break up wave action and protect harbour walls and coastal installations. Designed by Eric Merrifield and first installed in East London harbour they are now used all over the world. The recently completed upgrade of the Yzerfontein harbour has a couple of hundred of these large structures breaking up the waves that hammer the old jetty that protects the important fishing harbour on the west coast. Another first for South Africa is the speed gun used in cricket these days but also used on our roads and along the eastern boulevard to trap speeding motorists. If you are hiring a car on your visit beware of speeding on our roads as either a speed gun or camera will spoil your holiday when you are pulled over to receive a large fine. On arrival at your hotel you are likely to find a beautifully blue swimming pool waiting for you. It might be a bit cold in June to use the pool but if you look into the pool you are more than likely to spot a funny looking contraption attached to a pipe climbing the walls of the pool. This invention is known to us South Africans as a Kreepy Krawley. 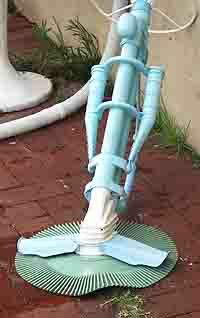 It is also a South African invention and has been exported to all parts the world. Before 1994 when the whole world was against South Africa for our political persuasions South Africa was punished by the international community by cutting off our access to oil supplies. Of course there were ways and means of obtaining oil from foreign countries which we used to get oil, but one of the main benefits that the oil embargo caused South Africa was to utilise oil from coal technology to make fuel from coal on a commercial basis. This technology is now being used by other countries of the world who have large stocks of coal at their disposal to produce fuel. Did you know that a South African invention went to the moon on a manned American space probe. Who will forget those words “ The eagle has landed” ? I know I won't as I was glued to my radio as the landing of the “Eagle” on the moon was broadcast to the world. The Eagle was stuck together with glue known as Pratley's putty which was invented by George Pratley in the 1960s while looking for a sticky substance that would hold components in an electrical box together. Amazing! Are you a person who suffers from muscular or arthritic pain and stiffness. 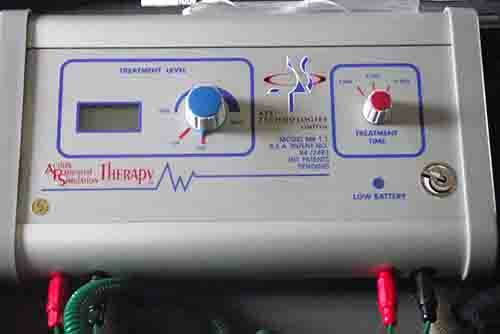 Have you visited a physiotherapist and been massaged and then placed on a machine that sends electrical impulses into your body and relieves your pain. If so you have experienced another world first, the APS machine invented by a South African named Gervan Lubbe. So you see when you visit Cape Town and South Africa you are not visiting a backward country. You will enjoy a modern city with many new hotels, a brand new soccer stadium and scenery to die for and much much more. With a lot fewer people coming to South Africa than expected there is likely to be a lot of space in our hotels and guesthouses. We expected 400000 people and are only likely to get half that number attending. As is our want, we have once again over catered and over supplied. That is what we as South Africans do. If you want to come to South Africa it's not too late to get here to join in the fun of an African World Cup. Stadiums might be full but fan parks will definitely be able to host you if you want to watch the games live on television.